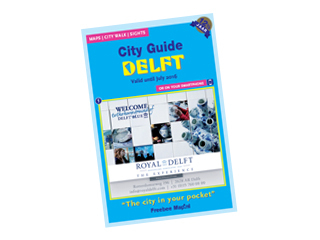 Delft is a city definitely worth visiting for a day out. It is the city of origin of the world famous Delft Blue pottery and the artist Johannes Vermeer. The historical city centre offers much in the way of interest for culture lovers, fun shoppers, historians and tourists. The shady squares, peaceful inner courtyards and romantic canals make time stand still. Delft is a lovely place for a stroll. It is atmospheric and picturesque with its traditional building fronts. Nevertheless, the city has moved with the times and nowadays has the reputation as an academic city, thanks to the TNO University of Technology and research institute.